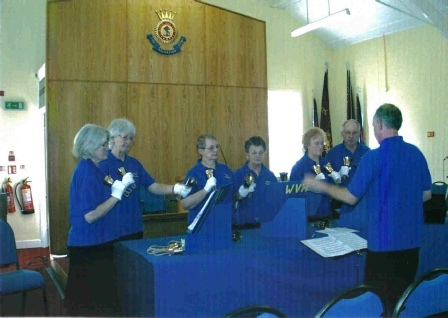 Wensum Valley Handbells was formed in 2000 and we chose this name because all our members live in villages and hamlets in the valley of the River Wensum. We originally had only 12 bells plus a sharp and a flat, loaned to us by St Margaret’s Church, Lyng. Over the years we have added to these, financing them ourselves, and now possess 28 bells, covering over two octaves.This allows us to play a far greater selection of music. Since our formation, we have played in a wide variety of places and situations and have steadily extended our repertoire to meet many different musical preferences. 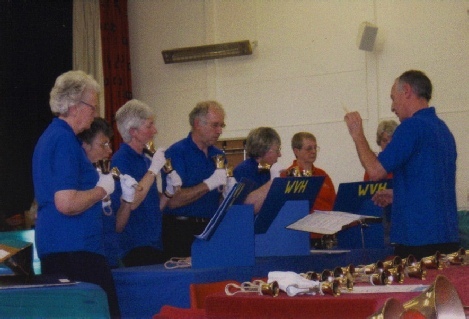 We have played for Women’s Institutes, residential homes, old people’s homes, village halls, birthday celebrations, garden fetes, village fairs, church festivals, gardening clubs and many more. We are available to play throughout the year. The pre-Christmas period can be busy, so why not also think of us when planning those Spring or Summer entertainments.